The Frederator Studios Blog: Adam Henry. Oh Yeah! Oh Yeah! Cartoons. Dave Levy & Rich Gory. Jazzbos, Bluesmen & Mexico. Postcards, Series 5. 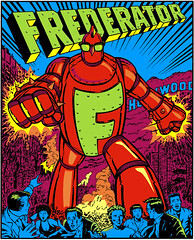 Preview, The Frederator Postcards book. Oh Yeah! Cartoons. Postcards, Series 5. As you can see, the last weeks, the pitches (and re-pitches) for Oh Yeah! Cartoons' 4th season have been fast and furious. 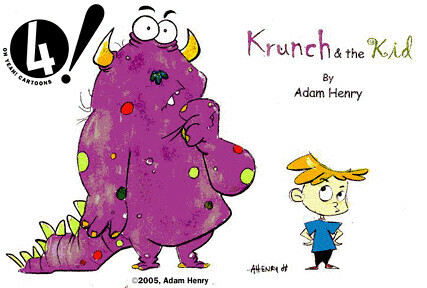 Adam Henry is working on PBS series over at Fred Wolf's, and we've been talking to him for quite a while about his fun Krunch & the Kid. Thanks to Adam for kind permission to post his artwork.